Dragging your feet through your front door at the end of the day, you face the question, “What’s for dinner?” Without a plan, you may find yourself in the pantry shoveling handfuls of low-nutrient food into your mouth. The result: a poorly nourished body and an expanding waistline. If you have little ones around, not having a meal plan leaves you prone to protests, or worse, meltdowns. Last minute meal creation, when everyone’s blood sugar is running low and stress levels are high, tends to lead to unhealthy meals. Meal planning is an essential part of healthy living. Sitting down to plan out the week’s meals, or using a meal plan created by experts helps ensure your family’s diet includes nutritious foods prepared in a balanced way. How easy it is to cheat on your healthy diet by visiting a fast-food joint! Having food ready and waiting helps curb your temptation for convenient high-fat or sugary foods. Eating a healthy diet as much as possible ensures your body is fuelled with nutritious food, makes you feel good, and reduces your consumption of unnecessary calories that cause you to undo your belt another notch. Researchers have found that stress is linked to weight gain. When American researchers analyzed nine years of data from 1,355 men and women, they found psychosocial stress related to work, personal relationships, life constraints, and finances were associated with weight gain. For men who were already overweight, work related demands had the largest impact on weight gain. Women’s waistlines appear to be effected by not only job-related stress, but by strains on personal relationships and life constraints as well. In simple terms, stress equals weight gain. Stress causes the release of the hormone cortisol in the body. Cortisol triggers certain fat cells to release triglycerides, which offer your body sufficient energy to deal with stress. Other fat cells, such as those in the abdomen, are triggered by cortisol to absorb triglycerides. Don’t let the question, “What’s for dinner?” become a source of stress in your day—try meal planning. Red cabbage . . . again?! 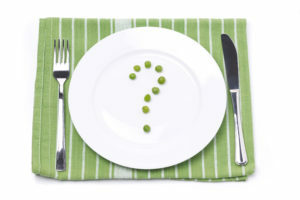 Avoid having unhappy dinner companions by offering a variety of meals each week instead of repeating the same dishes. Meal planning also helps bring smiles to loved ones at your dinner table, because you’re able to include their favourites and avoid what they don’t like. Food and mood are linked. Eating fast food may have detrimental effects on depression, according to a study published in the 2012 issue of Public Health Nutrition. Keeping to your meal plan can keep your family smiling. Making a meal plan is healthy, green, slimming, and popular. Yet creating one can seem overwhelming. Don’t fret! At myWholeLife the 7-Day Meal Plan Service is there to help. The myWholeLife meal plans are created by their team of holistic nutritionists and therapeutic chefs, and they’re reviewed by a Registered Dietitian. Having meals planned by trained experts takes the guesswork out of whether your meals contain sufficient vitamins, minerals, essential fats, protein, and fiber and not too much sugar, saturated fats, or trans fats. myWholeLife: Meal plans that have been created by experts can help you eat well and find optimal wellness. Your 7-Day Meal Plan from myWholeLife includes delicious, easy to prepare meals and snacks. It includes a grocery list to ensure even your first visit to the grocery store is an easy and satisfying experience. The meal plans include Paleo, Vegetarian, and Gluten-Free Omnivore. Check back often for even more meal plans including Gluten-Free Vegan and FODMAPS. Sanchez-Villegas, A. et al. Fast-food and commercial baked goods consumption and the risk of depression. Pub Health Nutr 2012 Mar;15(3):424-32.